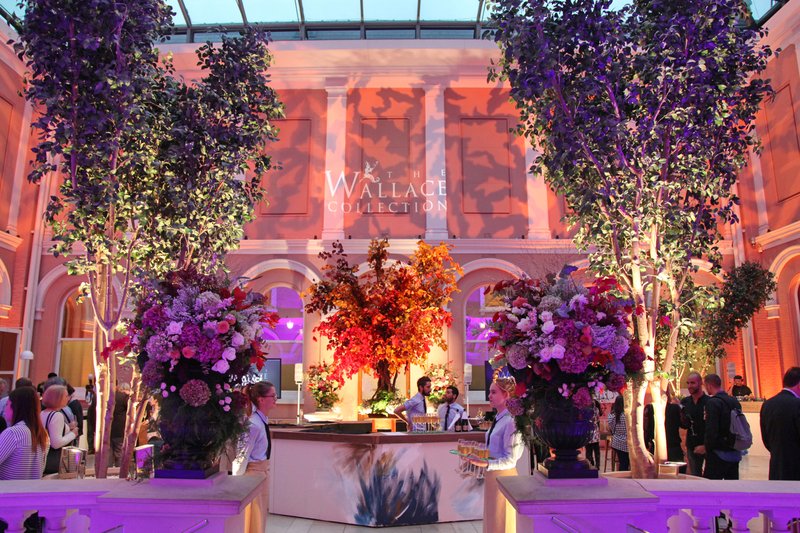 Situated between London’s busy Oxford Street and stylish Marylebone, the Wallace Collection is truly one of the most exclusive central entertaining venues in the capital. Host a memorable blessing in the presence of masterpieces within the magnificent Great Gallery. Celebrate with champagne and canapes throughout the gilt adorned suite of Drawing Rooms. Finally, whether you dream of a timeless dinner dance or something with a modern twist, the Museum’s former Sculpture Garden is the perfect setting to party the night away throughout the year. Please get in touch with one of our dedicated wedding coordinators, Katie on 020 7563 9545 or Sophie on 020 7563 9564, to discuss ideas for your big day. With its distinguished address and nearby international transport hubs, the naturally lit Courtyard and recently refurbished Lecture Theatre offer a striking and professional setting for early morning meetings. The spaces available before the Museum opens to the public are ideal for networking breakfasts, presentations, film screenings and Q&A sessions. The Meeting Room offers a space in the heart of the house which is perfect for presentations, away days and boardroom style meetings for up to 20 delegates. The Events Team provide a professionally managed event which always leaves a lasting impression. All money generated by hire of the Wallace Collection goes towards its conservation and care and to the development of the ongoing education, events and exhibitions programmes.